A new metabolic ward study tests the idea that lowering insulin via severe carbohydrate restriction increases metabolic rate and accelerates fat loss, independently of calorie intake. Although carbohydrate restriction did modestly increase metabolic rate, it actually slowed fat loss. One of the details that sets this study apart from previous studies is that it was funded by the Nutrition Science Initiative, an organization that was founded specifically to test the insulin hypothesis of obesity and related concepts. Low-carbohydrate diets are widely used for weight loss, and typically, greater carbohydrate restriction leads to greater weight loss (1, 2, 3, 4). At the most basic level, there are two primary explanations for the ability of low-carbohydrate diets to cause weight loss: either they make use eat fewer calories, or they they make us burn more calories (or both). So far, we have evidence that low-carbohydrate diets make us eat fewer calories (5, 6), although much of the effect seems to depend on increasing the proportion of protein in the diet rather than restricting carbohydrate per se (7, 8, 9). Yet uncertainty remains over whether or not carbohydrate restriction also increases the metabolic rate, an effect sometimes called a "metabolic advantage". Why does this matter? It matters because it tests a hypothesis that has important implications for how we should eat to manage our weight. This is the carbohydrate-insulin hypothesis of obesity. In the version championed by science journalist Gary Taubes, researcher David Ludwig, and others, insulin is a fundamental controller of fat storage due to its direct effects on fat cells, and it controls both calorie intake (hunger) and calorie expenditure (metabolic rate). According to this idea, insulin is the conductor, and calorie intake and expenditure are simply passengers, of the fattening process. It follows that calorie intake is a red herring, and the only reasonable strategy for weight management is to restrict carbohydrate, and particularly refined carbohydrate. Unmoved by a substantial body of contradictory evidence (9B), Taubes and others have set out to encourage new studies to test this hypothesis. To do so, they founded an organization called the Nutrition Science Initiative (NuSI), which funds research related to the carbohydrate-insulin hypothesis. I endorsed it (with major reservations) in 2012 because it would provide funding to high-quality scientists and ostensibly would not have the power to tinker with study results (10). The carbohydrate-insulin hypothesis makes testable predictions that can be used to evaluate it. 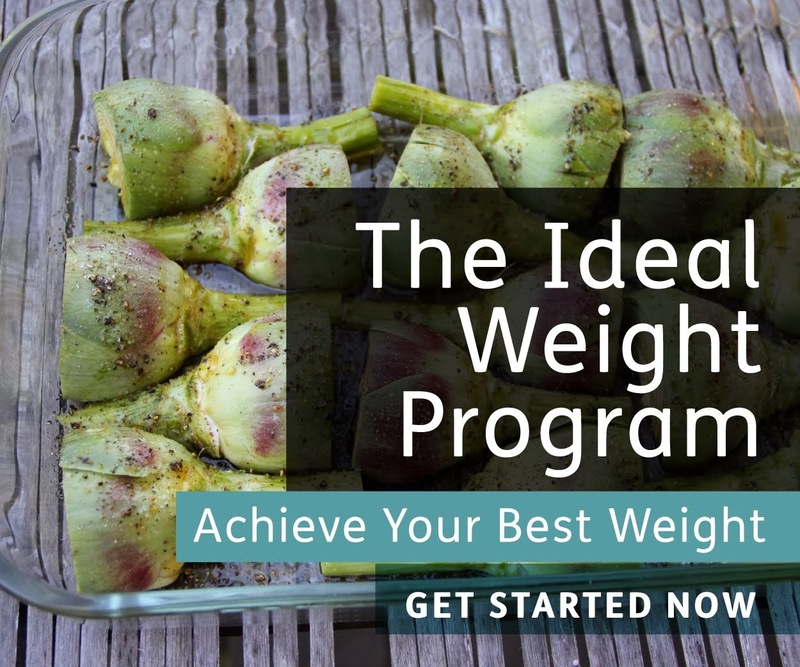 One of these predictions is that exchanging carbohydrate calories for fat calories, without changing total calorie intake, should increase the metabolic rate and accelerate fat loss. This would be consistent with the notion that calorie intake and expenditure are passengers, not the conductor, of the fattening process. Hot off the presses, the first NuSI-funded study tests this prediction. Kudos to Taubes and his colleagues for putting their beliefs on the line. But when you do so, you risk that your beliefs will be falsified. Interestingly, certain outcomes the study are consistent with the predictions of the carbohydrate-insulin hypothesis, but the overall picture is devastating to it. This study was conducted by an impressive group of obesity researchers, including Kevin Hall, Rudy Leibel, Michael Rosenbaum, and Eric Ravussin (11). High-carbohydrate, high-sugar diet (HCD). 50% of total calories from carbohydrate (338 g/day), and 25% of total calories from sugar. 15% protein. 2,739 Calories per day. Very-low-carbohydrate, low-sugar ketogenic diet (KD). 5% of total calories from carbohydrate (36 g/day), and 2% of total calories from sugar. 15% protein. 2,738 Calories per day. The volunteers spent two days a week inside metabolic chambers, where their calorie expenditure was measured. The researchers also used doubly labeled water to measure the volunteers' average calorie expenditure during the final two weeks of each diet. Once every two weeks, body composition was measured using dual energy X-ray absorptiometry (DXA), which is a gold-standard method and quite sensitive. They also measured relevant blood markers such as insulin, C-peptide, thyroid hormones, urinary nitrogen, and ketone levels. It's important to note that this study had pre-specified primary and secondary outcomes. What this means is that the researchers defined in advance which of the study's results will be the most important in testing the hypothesis, so that neither they-- nor anyone else-- have the ability to twist the study's meaning by cherry-picking data after the fact. Primary outcomes: changes in total calorie expenditure, changes in sleeping calorie expenditure, and respiratory quotient, as measured by the metabolic chamber (not as measured by doubly labeled water). Secondary outcomes: body composition changes, as measured by DXA. Although the diets were supposed to supply enough calories to keep the volunteers' weights stable, they slowly lost weight during the HCD, amounting to a loss of 1.1 lbs of body fat over the last two weeks of the diet (body fat loss during the first two weeks was not reported). This suggests that the calories provided on both diets weren't quite sufficient to maintain weight. Upon starting the KD, the volunteers rapidly lost weight. This is expected, since low-carbohydrate diets cause a rapid loss of water weight. Yet despite rapid weight loss, their loss of fat mass actually slowed relative to the HCD. Over the first two weeks, they only lost a total of 0.4 lbs of fat. Over the final two weeks, this increased to 0.7 lbs, with a total of 1.1 lbs over the entire one-month KD period. On the KD, the volunteers lost the same amount of body fat in one month that they lost in two weeks on the HCD. I prepared this graph from the study data. Feel free to share it. Interestingly, the KD did actually increase total calorie expenditure, particularly soon after switching diets. According to the metabolic chamber measurements, volunteers were burning about 100 extra Calories per day for the first ten days or so. Yet this effect waned over time, and by the end of the four-week KD period, total calorie expenditure had dropped approximately back to baseline (~40 extra kcal/day; not statistically significant). Averaged over all metabolic chamber measurements, they burned 57 extra Calories per day on the KD. Changes in sleeping metabolic rate followed a similar trend. The doubly labeled water measurement indicated a somewhat larger difference in calorie expenditure of 151 kcal/day, favoring the KD. We don't know how this was changing over time, since this technique gives us one data point that represents the average of two weeks of energy expenditure. It's likely that if we had more granular data, we would see this gap closing over time, since that's what the metabolic chamber data suggest. As expected, insulin secretion declined by 47% (as measured by C-peptide) and ketones in urine increased about 11-fold on the KD. Urinary nitrogen excretion increased for the first 11 days of the KD, indicating lean mass breakdown, but this was temporary. Fasting free fatty acid levels increased quite a bit on the KD, but there was no change in overall levels of circulating energy (glucose plus free fatty acids, ketones, glycerol, and triglycerides). This study is interesting because some of its results, if considered superficially, are consistent with the carbohydrate-insulin hypothesis. As predicted by the hypothesis, one of the study's primary outcomes showed that calorie expenditure increased on the KD. The authors speculate that the increase may have been caused by the metabolic inefficiency of ketogenesis (ketone production) and gluconeogenesis (glucose production), which makes sense*. These are activated by falling insulin, so we can actually say that the increase in calorie expenditure was likely caused by reduced insulin secretion! Although not the supposed effects of insulin on fat cells. Yet once we take a closer look at the results, they are clearly devastating to the hypothesis. First, the increase in total calorie expenditure was small and transient, and by the end of the one-month period it was no longer measurable using the metabolic chamber, which was a pre-specified primary outcome. Second and most importantly, the extra calories burned during the KD weren't coming out of fat tissue! The rate of fat loss actually slowed on the KD, particularly during the first two weeks after the diet transition, where volunteers only lost one third as much fat as they had lost over the previous two weeks of HCD. Over the final two weeks of the KD, fat loss began to rebound, but still only reached two thirds the rate of fat loss of the HCD. In total, the KD caused as much fat loss over one month as the HCD caused over two weeks. This slowed rate of fat loss on the KD probably happened for two reasons. First, people were burning through their glycogen (carbohydrate) stores in the first few days after switching, as Hall observed in his last metabolic ward study (12). Second, the volunteers were cannibalizing their own lean tissues for protein over the first two weeks of the KD. Because the KD mobilized stored carbohydrate and protein, those extra calories presumably displaced fat calories that would otherwise have been burned. In other words, severe carbohydrate restriction and the resulting drop in insulin cause the body to burn stored carbohydrate and protein at the expense of stored fat. At least initially. Why did they cannibalize their own lean tissues for protein? It's probably simply a consequence of the fact that when there isn't much glucose coming in from the diet, the body starts manufacturing it (gluconeogenesis)-- from protein. This increases the body's protein requirement, and unless the diet is high in protein, the body mines it from lean tissues such as muscle. But in the current study, this effect seemed to be transient, since it tapered off after the first 11 days of the KD. This may explain why the rate of fat loss began to rebound in the last two weeks of the KD period. The carbohydrate-insulin hypothesis relies on the idea that insulin suppresses the release of fatty acids from fat tissue, reducing overall circulating energy levels and creating a state of "internal starvation" that leads to hunger and sluggishness. If the hypothesis is correct, reducing insulin levels should increase overall circulating levels of energy (glucose plus free fatty acids, ketones, glycerol, and triglycerides) and correct internal starvation. Yet reducing carbohydrate intake from 50% to 5%, and reducing insulin secretion by nearly half, had no effect on overall circulating energy levels. Evidently, the total quantity of circulating energy in the blood is regulated tightly enough that even radical changes in diet have little impact on it. It's important to note that in many ways, this study was crafted to maximize the apparent effectiveness of the KD. The KD was very low in carbohydrate (5%), while the HCD was high in carbohydrate (50%) and also very high in sugar (25%). If you believe the hypothesis that sugar summons Beelzebub to plump up your fat tissue regardless of your calorie intake, the comparison should have been extremely favorable to the KD. Yet the effect on fat mass was the opposite of what this hypothesis predicts. This study confirms that insulin simply doesn't work how Taubes, Ludwig, and other insulin-obesity advocates think it does. As the investigators put it, "it is clear that regulation of adipose tissue fat storage is multifaceted and that insulin does not always play a predominant role". Despite insulin's well-recognized role in regulating dynamic fatty acid flux in response to meals, circulating insulin levels are not a dominant controller of fat mass. Instead, this study suggests to me that fat tissue plays a more passive role in energy balance: it releases net calories as the body needs them, regardless of what insulin is doing**. Insulin is not the conductor of the fat mass train. The only remaining explanation for the weight loss produced by low-carbohydrate diets is that they 1) cause a rapid initial loss of water weight, and 2) lead people to eat fewer calories, which gradually depletes fat stores. I do think the second effect is interesting and merits more research. Why do these diets cause a spontaneous reduction in calorie intake, even when people aren't deliberately trying to restrict calories? Protein is part of the explanation, but I'm not sure it can fully explain what happens when the diet is ketogenic (very low in carbohydrate). I look forward to more research on this. In many ways, this study was state-of-the-art. It was a true metabolic ward study, so there was no diet cheating. The measurement techniques were gold standard. Yet it did suffer from one puzzling weakness: it lacked a true control group. Therefore, this trial was neither randomized, nor controlled. I don't know why this decision was made, but it does weaken the result. This study further reduces my confidence in Ludwig's finding that a very-low-carbohydrate, high-protein diet increases total calorie expenditure by ~300 Calories per day (13), which Ludwig attributes to the low carbohydrate content of the diet, and subsequent reduction of insulin. This new study suggests that even severe carbohydrate restriction, and a substantial drop in insulin levels, has little impact on the metabolic rate after the first two weeks when protein intake is controlled. This metabolic ward study suggests that calorie-for-calorie, a very-low-carbohydrate ketogenic diet substantially reduces insulin secretion, transiently increases metabolic rate, and impairs fat loss. As such, it once again falsifies a popular incarnation of the carbohydrate-insulin hypothesis of obesity. Perhaps the fact that this study was funded by NuSI will help the message get through to supporters of the hypothesis. We can infer that when people eat ketogenic diets outside the lab, they lose fat because they spontaneously reduce their calorie intake. I look forward to more research on why this happens. * Some energy is lost in the conversion process between protein and glucose, and that extra energy is released from the body as (mostly useless) heat. So for example, if you start with X number of calories of protein, and you convert that into glucose before oxidizing the glucose for energy (primarily ATP), you'll end up with a smaller quantity of usable energy than if you had just oxidized X calories of glucose directly. Hence the term "inefficiency". This term carries a negative connotation, but in the context of obesity, metabolic inefficiency can actually be a good thing. ** The reason I say this is that glycogen and protein calories appear to have displaced fat calories in this study, slowing the rate of fat loss in the KD group. In other words, the rate of fatty acid oxidation was determined by the energy demands of the body, not by insulin levels. To qualify my statement, over the longer term fat tissue does play a role in regulating appetite and fat mass, but not by the mechanism proposed by the insulin hypotheis-- it does so via its release of leptin. I'd be curious what the patient's subjective hunger was during both diets. I had an epiphany some months ago after learning about Barbara Rolls, her work on calorie density and satiation/satiety. She found that people eat about 3.3 pounds of food per day, regardless of their size...but overweight people eat more calorie dense food. So when you look at leaner meat...it isn't extremely calorie dense. And if you throw in a big salad, or some steamed broccoli etc., it lowers the overall calorie density, and you get a certain weight of food that causes you to eat less over time. So either way...fruits/vegetables/starches...or lean meats/cheeses and green vegetables....people just eat less. Doesn't food reward offer an explanation for reduced calorie intake on LCDs? Most high-reward foods contain a mixture of fat and carbohydrates, so eliminating high-carbohydrate food eliminates most common high-reward foods. There's still sausage and bacon, but you're cutting out pizza, chips, fries, chocolate, cake, etc. This seems pretty consistent with what Kevin Hall had released earler by means of his poster presentation and interview on YouTube. I had been told from some sources that it wasn't the whole story, but looks as though it in fact was. Glad there were no surprises. Thanks for the nice breakdown of the study. Has there been any talk on the results from the highers-up at NUSI yet? I'm interested to hear what they say (and write) going forward. Albeit annecdotal, hundreds of people on LC diets have said that they were amazed that their hunger disappeared. Some actually forgot to eat. I think this is the advantage of LC diets, and when subjects were "forced" to eat a certain number of calories, this advantage of the LC diet disappeared. Also, it takes several weeks for the body to ramp up production of fat-burning enzymes on a LC diet, so the initial fat loss on a LC diet following a high-carb diet would not represent the long-term rate of fat loss. Interesting that the rate of fat loss was increasing in the last half of the experiment, which is consistent with this. It's beta-hydroxybutyrate that is supposed to suppress appetite. Stephan, couple points. First, this was a PILOT study, not designed for precise estimates of effect size. That any statistically significant difference in energy expenditure was found at all with such limited power represents a remarkable refutation of the null hypothesis (that all calories are alike). Purely hypothetical, and coming from just a layman who needs to lose weight, is it possible that the reduction in calorie intake due to KD is because many low-carb foods are less calorie dense, and so it's easier to get "full" on less overall calories? Also, satiety / cravings seem affected by the change too. I feel like fat/protein help make me full and satisfied, and over time, the KD reduces cravings for carb-rich foods (breads, pastas, sugars, etc.). When I eat a high-carb diet, I feel like my cravings for those types of foods are in full swing, and so I overeat constantly to fill the cravings, and that overeating is of extremely calorie-dense foods. So I end up less satisfied, always trying to fill the cravings, and when I do- filling them with far denser foods. Not sure on the scientific side how all of this would be explained (would need further studies, as my anecdote is just an anecdote, not rigorous scientific data), but so far, carb restriction has worked best for me overall, maybe owing more to the fact that it's reduced my calorie intake and curbed my cravings (somehow). This study clarified something for me. I always thought David Ludwig and Robert Lustig were the same person, since their names are sorta simililar, and they have both campaigned against excessive sugar, and they're both well respected doctors and researchers. But now I see that they are actually two completely different people! do we note what Leptin and Ghrelin are doing during these wee adventures in nutritional science? Thanks for summarizing it for us so nicely. I would be interest to see them repeat this experiment in the reverse order. Is there an order of operation dependency of studies like this? I bet there is but how significant it is I have no idea. Makes me curious though. They really need to get engineers involved in this. A study of the insulin hypothesis in a ketogenic diet that reports neither ketone nor insulin levels in the blood ? Give me a break. How is the "fat loss" quantified here ? DEXA or a Kevin Hall calculation ? I suggest you read the study. They provide all the measures you're requesting. Peter, I always get Ludwig and Lustig confused too. Reading experts say we tend to read by looking at first and last parts of words and ignore the middle and they're both Lu**ig. Maybe we could get up a petition and ask one of them to change his name. Sure would have been useful to have had a 4 week baseline where they could eat what they wanted - just measure it. My take is they didn't have enough protein for the exercise they were doing.. to maintain muscle with exercise requires enough protein.. which also will effect insulin sensitivity. What is missing is insulin sensitivity - they were losing weight - thus they likely became more sensitive over the time of the experiment - insulin level in isolation is just a feedback signal - not going to tell you much. You need less insulin sensitivity(as in insulin resistance) to lose fat. This experiment needs to be repeated with a step to determine the amount of protein needed in the living situation. Good nutrition research is REALLY hard to do. This sort of hints that lacking protein with exercise will cause your body to scavenge the muscles tissue instead of wasting precious fat calories - diet and exercise without enough protein seems a bad idea. Hall's study documents the crash-diet effect of low carb, which is what most dieters are after. The loss of lean mass in the early part of low carb shows the downside. The dieter loses weight but in the wrong places. Be skinny and frail in just 2 weeks! A weight loss diet to fix obesity takes longer than a month. It took me six months to reach normal weight starting from obesity. Both diets appear to produce the same effect after a month, with fat loss at similar rates. After a month a dieter is inured to the restrictions imposed by either approach. So both are sound weight loss approaches to cure obesity and it's personal choice which one you can stick to for the rest of your life. The key to either one is sticking to the plan. No magic about that. Nothing to argue about anymore. I would be interested in knowing what the participants ate. 15% protein seems low for a KD diet. What foods made up the bulk of the diet. A longer study, if possible, could have provided more data and perhaps a clearer picture of the results. Stephan, most everybody agrees that it takes at least three weeks to express the enzymes necessary for muscle tissue to stop using ketones and for brain tissue to switch to ketones. The KD patients were therefore in transition. The study gives no clue what would have happened in steady state, but what was observed - catabolism of protein, increasing use of ketones - is surely only to be expected in the transition state? Like Gretchen said: "the initial fat loss on a LC diet following a high-carb diet would not represent the long-term rate of fat loss. Interesting that the rate of fat loss was increasing in the last half of the experiment". Can you please comment on this? Surely seems to be an egregious flaw in the experimental design? Dr. Dasler, one of my biochem profs at Chicago Med, told the class, "There are a lot of good [reducing] diets out there, and they all work." True, because they all limit calories. Also, when people are held to any kind of dietary restriction, the choice in food being limited, eating becomes less hedonic, so they may eat less. But they could achieve the same by the same reduction in energy consumption without those particular restrictions. But even the bore-yourself method doesn't always work if some energy-supplying food is unrestricted. I tried the severe CHO restriction of Atkins induction, eating allowed foods ad lib, & found myself gaining weight alarmingly fast. I was making up for the lack of variety by eating more, not less, of the narrow range that wasn't restricted, which was mostly calorically-dense foods (plus a few allowed vegetables: lettuce, celery). Since then I've heard of other people who had similar experience with the vaunted extreme-low-carb reducing diet. I'm afraid I have to disagree. The study might use gold standard techniques, but the design seems seriously flawed. At a minimum, they should have first adjusted calories to establish a stable baseline in terms of weight for each individual, and then implemented the low carb diet for half the subjects while maintaining the high carb diet for the other half. As is, it's impossible to tell whether the decrease in fat loss in the low carb phase is the result of the low carb diet or some type of metabolic adaptation to continued weight/fat loss. It's conceivable, for example, that fat loss would have declined even slower if the high carb diet had been maintained. Moreover, the fact that the subjects were losing weight when they shouldn't have suggests that there might have been some uncontrolled variable involved even at the outset. It would also be interesting to see the rate of fat loss during the first two weeks and whether it was slower or faster than the next two weeks. Strange that they didn't report it. As is, this study doesn't really show much other than that people can lose weight and body fat under both high carb and low carb diets and there seems to be at least a slight increase in energy expenditure under low carb diets. you mention the 'total quantity of circulating energy in the blood'. It looks to me this is an interesting concept that I never saw discussed anywhere, could you please explain some its properties? Though I'm not surprised that Dr. Ludwig is calling for a rematch, I'm confused about the null hypothesis argument. The high carb diet included a lot of fructose and resulted in greater fat loss rate. It appears from this that a fructose calorie is advantaged over a fat calorie for weight loss. Would a rematch reverse the null hypothesis? Or as in pro wrestling would a third match be required to crown the king of the calories? Thanks for stopping by. I agree that it was a pilot study, but it nevertheless obtained statistically significant outcomes. The study had enough statistical power to answer the questions it asked. I agree that the results refute the hypothesis that all calories are identical with respect to their effects on energy expenditure and fat mass, however in the case of fat mass, the results refute the hypothesis in the opposite direction of what the carbohydrate-insulin hypothesis predicts. This is very powerful evidence that the size of fat stores are not significantly controlled by insulin levels, at least not in the hypothesized direction. Both the "calories in, calories out" hypothesis and the carbohydrate-insulin hypothesis are refuted by this study. Regarding the study design, I agree with you to a point. Clearly the lack of a control group weakens the inference we can draw from it. Yet adjusting for the modest body composition changes that occurred during the high-carb phase had little impact on the outcome. Thus, it's highly unlikely that diet order can explain the fact that fat loss slowed so dramatically on the ketogenic diet. If it were a small effect, I think everyone would be pretty skeptical about it. But it was a large effect. If this were an isolated finding, then I think the lack of a control group would be a really big problem. But this study exists in the context of a number of other studies suggesting that calorie-for-calorie, low-carbohydrate diets don't provide a fat loss advantage. For me, the main surprise here is that the ketogenic diet actually SLOWED fat loss, rather than simply having no effect on it. I don't think anyone (including myself) was expecting the KD to slow fat loss so much. There is something in this study to piss almost anyone off, haha. I'm not ready to conclude that ketogenic diets slow fat loss, and certainly not in a situation where calorie intake isn't fixed. But I think it has become pretty clear that they don't offer a fat loss advantage that goes beyond simply favoring a lower calorie intake, and that conclusion is rather hard to reconcile with the carbohydrate-insulin model. 1. I believe the NuSi folks agreed to the study protocol. 2. I've seen some comments regarding longer time periods needed for KD diets to maximize fat burning, but I've never seen any data to back that up. 3. Some have mentioned insulin sensitivity as a factor. To what end I don't know, but KD diets will result in significant Decreases in insulin sensitivity. In fact, non-diabetics can test diabetic after 1 week on a KD diet. This was demonstrated by Himsworth in a seminal paper from the 1930s. High carb diets, on the other hand, can result in Increases in insulin sensitivity. Is anybody else floored by the blood markers during the high-carb run-in diet? 17 overweight and obese subjects on a high-carb diet, and their blood glucose was 81! Their insulin was 7! Their TG was 104! That tells me that their hypocaloric "run-in" diets had a profound effect on their metabolism. I've never seen numbers like that for obese subjects. This demonstrates that weight loss alone is a huge confounder when comparing the blood markers of HC vs LC diets. The change in fat loss shouldn't be a surprise to anybody familiar with the literature. RQ dropped and stayed low on the KD. I.e., fat oxidation obviously increased. Initially, the fat came from the diet. Eventually, it came from adipose, and that's reflected in the DXA. What causes the shift? Reestablishing glucose homeostasis. This takes 2-3 weeks. Ketogenesis 101 as described by Owen and Cahill since the 1960's. So, to me, it's fairly obvious that glucose needs simply weren't being met by the diet in the first 2-3 weeks of the KD. That resulted in muscle catabolism in order to meet the glucose needs via GNG. Once glucose demands were met, adipose again became a source to meet the small energy deficit. The more I look at the study design the more I like it. It's very aggressive using such a high sugar load in the high carb diet. The HC is thus a near-perfect SAD control. This is the diet that HFLC attacks and not optimized for best nutrients. The isocalorie part is good too. If HFLC has a metabolic advantage the fat should fall off. The design puts the major HFLC claims on the line. In using an aggressive HFLC approach to study design, the failure is as complete as the planned success would have been. If there is funding for a repeat I would leave the study the same but reverse the diet sequence to ketosis first, followed by some period to restore glycogen, then the high carb. Reversing the study order is bound to be more expensive. It would take a week or two under ward conditions to replenish dieters glycogen to pre-ketosis state. The problem with the concept of the metabolic advantage is that everyone who is trying to argue that there is one is trying to show that the body will be burning MORE calories. In reality what seems to happen in the long term is that LESS dietary calories are needed in order to maintain energy homeostasis. It has to to with the efficiency at which ATP can be derived from different energy substrates. While everyone knows that carbs are 4 cals and fats are 9 cals. When you look at the actual amount of ATP that can be produced from the two, there is a wider spread in energy production of ATP than the caloric values represent. Largely because the energy from carbohydrates or glucose will end up producing more waste energy as heat than fatty acids will. So per unit of oxygen consumed, you get more ATP and less waste heat via fatty acids than you do from glucose. So if you're using calories as a metric to gauge energy metabolism you're missing the point entirely. You want maximum conversion of energy substrate into ATP, not maximum consumption of calories. The former is akin to an efficient fuel use, the latter is inefficiency. So do you want more usable energy produced from less total fuel supply, or less useable energy produced from a greater total fuel supply? Only in the human body would people think that burning more fuel is a good idea and it's silly. Looking at auto racing as an example. The car that can get the most power whilst also getting the best fuel mileage will need to make fewer pit stops and ultimately will win when compared to the cars that need to consume more fuel to get the same output. In this case efficiency is a clear advantage. However, if the goal was to just burn the most gas you probably want less efficiency, and you could do so by detuning the engine, but it'll end up putting out more emissions and it'll suffer longevity wise. How come efficiency is recognized as being optimal in everything except the human body? Why are low-carbers & keto dieters getting upset about this study? It's not showing that keto diets don't work. It's showing that keto diets don't work due to Taubes, Ludwig et al's Carbohydrate-Insulin Hypothesis Of Obesity. If a low-carb or keto diet's working for you and it's sustainable, carry on doing it. Why quibble over details? The only people who should be getting upset about this study are those who profit from promulgating the Carbohydrate-Insulin Hypothesis Of Obesity i.e. Taubes, Ludwig et al. Mikej26, inefficiency is sought because people are fat. They have the fuel to burn, and a desire to burn it. De-tuning the engine is exactly what's sought here. If a condition like that of nephrogenic glycosuria were possible to induce, losing sugar into the urine, without adverse effects, that kind of a fuel leak would be highly sought. "Evidently, the total quantity of circulating energy in the blood is regulated tightly enough that even radical changes in diet have little impact on it." This is pretty significant. Are there other literature references to this? I would have thought that after glycogen depetion on the HFLC diet the first source for additional glucose would be gluconeogenesis from bloodstream protein rather than the catabolism of lean mass. Yet if bloodstream energy is tightly controlled bloodstream protein would not be available, and the signal for catabolism would be immediate. High levels of insulin and glucose cause irreversible differentiation of pre-adipocytes into fully mature adipocytes, basically a growth of the adipose tissue depot. While lowering the insulin and blood glucose on Low-carb diets only causes adipocyte shrinkage, not de-differentiation or apoptosis. Theres your carb-insulin hypothesis of obesity. Per Ludwig's comment, it seems worth noting that it would be even better had there been a crossover design of some kind (sorry if my terms are wrong): either having the groups go back and forth a couple times, or having part start with HCD and the other start with the LCD/KD. I was wondering about lagging effects myself---metabolic changes that might show up at more than four weeks out from the dietary change. Not really convinced of the insulin hypothesis, but it seems like "devastating" might be a little bit too strong. Wow, I had no idea there was this behind the scenes battle royale going on between LCD gang and the CICO gang all the while obesity is still a huge issue. I've lived the struggle, in my family obesity has been the norm. I know the pain, frustration and hopelessness that comes from doing all you can to lose weight only to gain it back. I maxed out at 330lbs in August 2003 and went on to lose 100 pounds by July 2004 and another 30lbs since then. I have experience. IS it possible that everyone is somewhat right? Glucagon burns fat and can't co-exist with insulin right? So would keeping insulin low from longer periods of time increase fat burning? Also though we need carbohydrates to keep leptin up because studies have shown that high calories /high fat do little for leptin while high calorie/high carb boosts it up. Energy balance is just that and losing weight and keeping it off like I did is intentionally controlling the ups and downs. I follow keto, and I would never let the protein go down to 15%, always at 20-30%. Maybe the high carbohydrate group lost weight faster because it takes more calories to digest carbohydrates than it does to digest fats. The focus here (and on your book, I presume) is on the "insulin-obesity" relationship. I understand the analysis and accept that body fat loss is not a simple matter of macro balancing (low carb). The corollary hypothesis pushed is the "insulin-health" relationship. i.e. Reducing carbohydrate intake-> reduces insulin -> leads to prevention of all insulin mediated disease states. Do you think that corollary hypothesis is well supported at this point? Has it really been tested? Should this be the real motivation for people to limit carbohydrates to only those needed for energy/activity demands? The primary problem is insulin resistance, not high insulin levels. High insulin levels are a marker of insulin resistance. Insulin resistance promotes noncommunicable disease states like type 2 diabetes and coronary heart disease (http://wholehealthsource.blogspot.com/2015/06/insulin-resistance-predicts-variety-of.html). Reducing carbohydrate intake reduces insulin levels but has little effect on insulin resistance unless body fat is lost. But there is a lot of confusion around this issue because many studies measure insulin resistance indirectly using a measure called HOMA, which is based on fasting insulin and glucose. Since carb restriction lowers insulin levels, this makes it look like it also improves insulin resistance. But when you directly measure insulin sensitivity, you find that reducing carb intake does not improve insulin resistance unless it causes body fat loss. The only macronutrient profile that has been clearly shown to improve insulin sensitivity independent of calorie intake and body fatness is a very-low-fat, very-high-carbohydrate diet. That said, some macronutrient profiles can improve insulin sensitivity via fat loss. So for example, a higher-protein lower-carbohydrate diet tends to reduce calorie intake and body fatness, which can improve insulin sensitivity. Also, just ditching calorie-dense processed foods and eating a whole food based diet can help control calorie intake and body fatness. I believe that CrossFit's approach-- including a Paleo diet and lots of exercise-- increases insulin sensitivity, but that doesn't necessarily mean their mechanism is correct. I'm not familiar enough with CrossFit to say whether or not what they teach is correct. There is no evidence that a higher-fat, lower-carbohydrate diet extends lifespan in any vertebrate species (and certainly zero evidence in humans), regardless of its effect on insulin levels. Rodent studies suggest that a higher-carb diet that's lower in protein and fat optimizes lifespan, but if I recall it also has some negative side effects on growth and reproduction. Also, it's not clear how relevant those findings are to humans. Bottom line: if you care about disease risk, healthy aging, and longevity, you should care about insulin sensitivity more than insulin levels. Staying lean, getting regular physical activity, eating a whole food based diet, getting good sleep, managing stress, not smoking cigarettes, and avoiding excessive use of alcohol and other drugs are likely going to give you a high return on your effort. Most of the rest is details. FYI, my book doesn't spend much time at all on the insulin hypothesis of obesity. 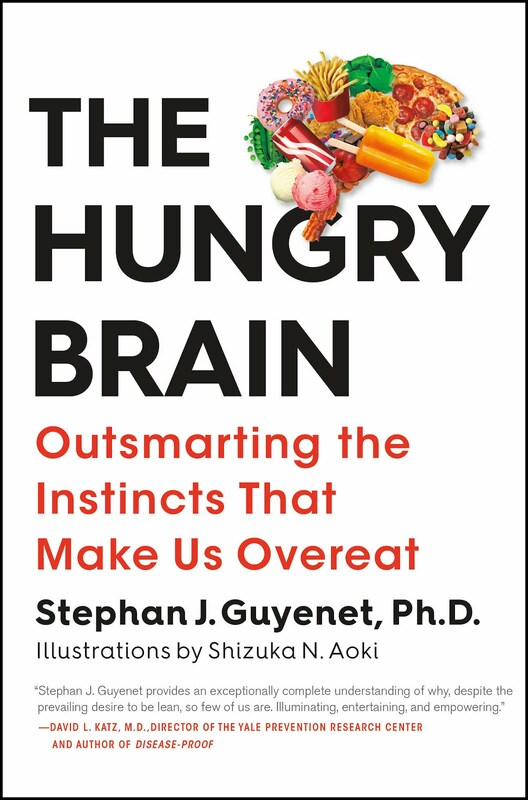 It's about the nonconscious brain circuits that nudge us to overeat. Please comment this article - carbs = insulin = alzheimer ? Incredibly thoughtful reply. Thank you so much for your time! Looking forward to purchasing your book when it comes out. "The only macronutrient profile that has been clearly shown to improve insulin sensitivity independent of calorie intake and body fatness is a very-low-fat, very-high-carbohydrate diet." Hi Stephan - Be interested is a reference to the above. Here are some references. The first one was published so long ago that I haven't been able to get the full text-- I've only seen the results described in review papers. The one by Dan Porte's group is interesting. The ones by Anderson were done in diabetics and show that a very-high-unrefined-carb, very-low-fat diet reduce insulin requirements. The last one is less convincing than I initially thought because of a lack of statistical significance of a key result. Overall, reviewing the references again, the case doesn't seem as strong as I remembered. There is some evidence to support what I said, but it's not ironclad, in part because some of the very-high-carb, very-low-fat diets were also high in fiber. Is this increase in insulin sensitivity an increase in mitochondrial function? Or could it be essentially temporary "physiological insulin sensitivity," analogous to temporary "physiological insulin resistance" on a high-fat diet? You don't think this study can serve as a nod to "Carb Nite" by John Kiefer? To play devil's advocate - if your summary of the study design is correct - is the result of this study with reference to ketogenic diets even worth considering since they did not account for the period of glycogen loss, and separately they did not provide for the additional protein required in a ketogenic diet? Had they tried to measure glycogen losses, they could have marked the point in time when glycogen was exhausted and evaluated fat loss from that point going forward. Instead, as you summarize it, the rate of loss of fat in the ketogenic diet might be distorted downward because some of the caloric needs were supplied by glycogen instead of fat. Had they started the measurement of fat loss after glycogen was exhausted, the data would have been cleaner. With reference to protein, apparently the body wanted more glucose and it was determined to supply this by gluconeogenesis from protein. Instead of accommodating that with more protein in the diet, they allowed the body to take it from lean body mass. Had they simply supplied additional protein in the diet and reduced fat calories to keep total calories constant, they might have at least had a better isolation of the effects of insulin going lower. I think your speculation is probably correct, although there's no way to be certain. By the end of the experiment, both the energy expenditure and the fat loss rate of the KD period were approaching what was observed during the control period. 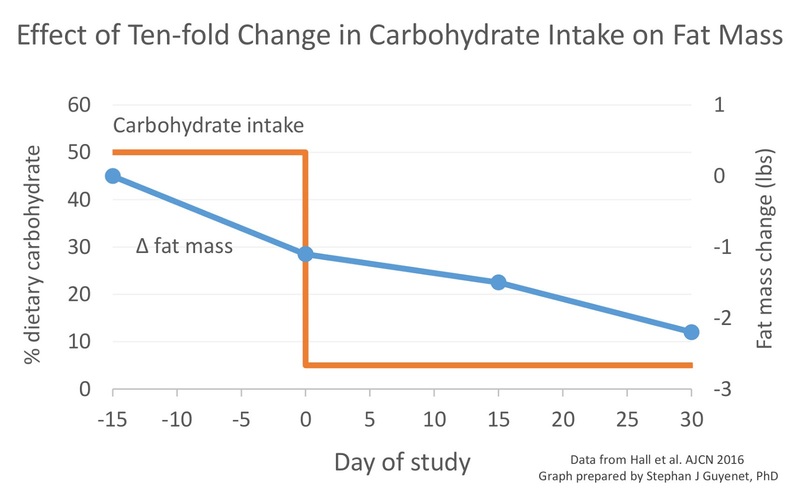 Basically, after a 4-week physiological adjustment period, the experiment was converging on the finding that macronutrient composition makes little difference for energy expenditure and fat loss-- which would be consistent with other studies. That said, this experiment was specifically designed to test the carb-insulin hypothesis, as posited by Taubes and Ludwig, and it did that. They hypothesized that reducing carb and sugar intake, and in turn insulin levels, would have a robust influence on the amount of fat exiting fat tissue, resulting in accelerated fat loss. Taubes and Ludwig believe that this effect of insulin is so powerful that it trumps other physiological variables, like glycogenolysis and gluconeogenesis. This was clearly shown to be false. To modify your closing statement a bit, I'd say that metabolism is complicated and will continue to defy simplistic models. Stephan - Thanks so much for the references. Much appreciated!! "Therefore, this trial was neither randomized, nor controlled. I don't know why this decision was made, but it does weaken the result." The following link has statements by Kevin Hall regarding the rationale for lack of randomization of diet order. See the last four paragraphs of the first article by Katherine.